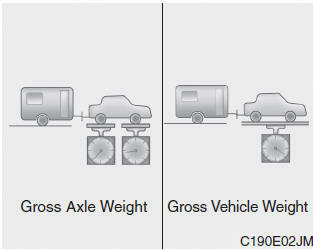 The trailer tongue should weigh a maximum of 10% of the total loaded trailer weight. After you've loaded your trailer, weigh the trailer and then the tongue, separately, to see if the weights are proper. If they aren’t, you may be able to correct them simply by moving some items around in the trailer.